NEWRY, Me. (July 13, 2015) – This week’s 25th anniversary New England Forest Rally promises one of the biggest battles of the 2015 Rally America championship season, with a stacked field approaching 70 cars and some big names stepping forward to challenge the dominant Subaru Rally Team USA duo of David Higgins and co-driver Craig Drew. Block isn’t the only potential spoiler to Higgins’ perfect season. The full M-Sport Ford contingent includes Ramana Lagemann and co-driver Nathalie Richard, debuting the brand new M-Sport Ford R5, and Brendan Reeves and Anthony McLoughlin, marking the U.S. debut of the M-Sport Ford R2. Block will compete behind the wheel of the popular Ford Fiesta ST he drove to a win at the event in 2013. 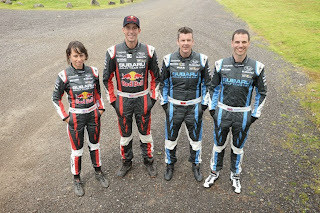 Also in the mix at this week’s event is four-time Rally America champion Travis Pastrana, who returns to the series for the first time this year, with Chrissie Beavis as his co-driver. 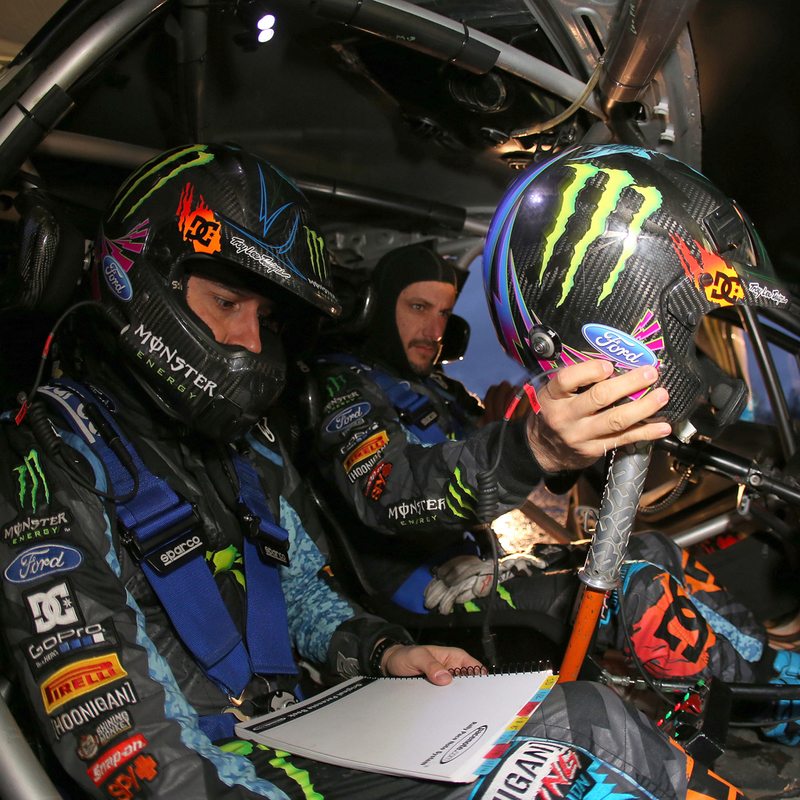 "I had to make time to get back in the driver’s seat in a rally with my Subaru team," said Pastrana, who has been on a competition hiatus while traveling with the Nitro Circus Live world tour this year. Although Higgins and Pastrana will both be racing together under the Subaru Rally Team USA tent, the teammates are not expected to give each other any easy breaks. They have a friendly but fierce rivalry and Higgins says Pastrana wouldn't think twice about putting a stop to his 2015 winning streak. "That wouldn't be his style at all," said Higgins. "He's coming to bring it." Rally America regular Lagemann has career wins in Open class, Super Production, and -- as recently as this year's Olympus Rally -- 2WD. He won NEFR outright in 2006 and says the new M-Sport R5 he’s debuting at the event could very well be the car to get him back on top. His co-driver, Richard, has stood at the top of the NEFR podium four times in her career: with Antoine L’Estage in 2010, 2011, and 2012, and with her brother Pat Richard in 2005. "I'm personally focused on doing the best job I can," said Lagemann. "I want to have fun, I want to go fast. If David Higgins is going to end up having a perfect season, we're going to make him fight for it." Reeves, an Australian driver who made his Rally America debut in 2013, has the 2WD podium in sight but could also be a contender in the overall mix. He won five of five starts in his class in 2013 to take the 2WD championship. He also put his two-wheel drive Ford R2 on the overall podium at Ojibwe Forests Rally that year, alongside Higgins and Block. "There are some very fast cars and a big variety of international competitors making for some great competition," said Reeves. "The new car is a big step from the old 1600cc R2... I certainly think we are steps ahead of where I was in 2013 on the NEFR roads." Also expected to challenge at the top of the pack is the privateer FY Racing team of Adam Yeoman and co-driver Jordan Schulze. 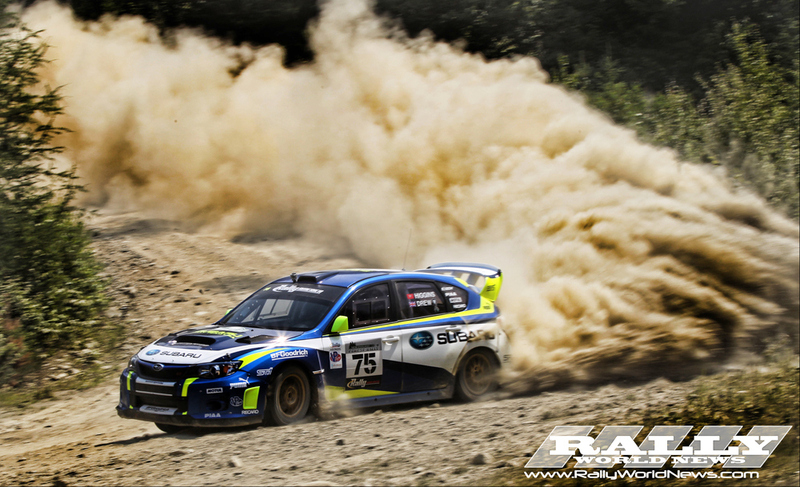 Currently in second place overall in the series, the duo campaigns an Open class 2007 Subaru WRX STI and has been working hard to close the gap to Higgins and Drew at every round. Yeoman and Schulze have finished second overall at each of the last three events. "These are our heroes. Would it be cool to share a podium with some of them, with all of these big names competing? Hell yeah!” said Yeoman. “We're going to be pushing hard and trying not to make any embarrassing mistakes out there." Super Production class leaders Nick Roberts and Rhiannon Gelsomino have put their 2013 Subaru Impreza WRX STI on three overall podiums this year and could also be contenders at NEFR. Roberts said he relishes the opportunity to rally against some of the drivers who inspired him to take up the sport in the first place. Some additional drivers to watch are Peter Fetela, who is currently in fourth place overall in the championship standings, and David Sterckx, who won the SP class at NEFR in 2013 and will be competing this time around with an Open class 2011 Subaru STI under the FY Racing banner. Privateer Jeff Seehorn recently announced he will also take a run at the event in his Super Production class 2005 Subaru STI, while Jon Fogg, a Subaru Rally Team USA team member who typically works on the No. 75 car, emerges from Open Light to race unrestricted in the top class for the first time in his 2007 Subaru STI. Local driver Chris Duplessis and co-driver Alex Kihurani are eyeing the 2WD podium in their crowd-pleasing Nameless Performance Subaru BRZ. "We think every event should have at least five or ten guys gunning for the top spot, and we've been doing everything we can to attract the top guys and factory teams as well as well-supported privateers and a deep regional field, because we're also trying to help develop the top competitors of the future," said Chris Cyr, general manager at the Team O'Neil Rally School in Dalton, New Hampshire, and one of the organizers of the rally. "This one's going to be exciting because a lot of drivers and fans around here will tell you they first got interested in rally because of guys like Travis, Ken, and David." The New England Forest Rally is the sixth round in the 2015 Rally America National Championship. The 25th anniversary running of the event takes place July 17-18 and is headquartered in Newry, Maine. Known as one of the most unpredictable stops on the championship calendar, the event is expected to feature 120 challenging stage miles over two days of competition, including a return to the smooth and twisty stages first used in 2014. Fans can follow the rally online via Rally America’s social media channels. Live Twitter updates will begin Friday morning at @Rally_America with hashtags #NEFR and #RallyAmerica. Rally America Radio will also return for this event, offering interviews with drivers and teams, as well as commentary from the service park.